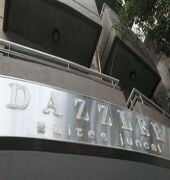 Dazzler Suites Juncal is an apart hotel in Palermo with a modern and comfortable decor. 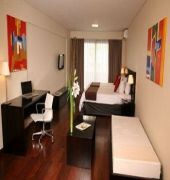 Its 18 spacious and bright Suites have whirlpool, equipped kitchen, high table and barstools, sofas and coffee table, desk, terraced balcony, and everything you need for a pleasant long stay in the city of Buenos Aires.Dazzler Suites Juncal offers all the comforts of an apartment for rent in Palermo, a neighborhood chosen by residents and tourists for its proximity to the best shopping centers, such as the Alto Palermo Shopping mall, and lots of sites to enjoy the city%u2019s night life. 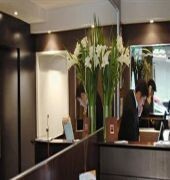 The privileged location of this four-star apart hotel stands out for its easy access and good transportation to other attractive areas in the city, such as La Recoleta, Palermo Soho, Palermo Hollywood, Las Canitas and Belgrano.For just a few days, some weeks and even months, in our temporary apartments Dazzler Suites Juncal you will find a quiet, comfortable and relaxing atmosphere in an unbeatable location.